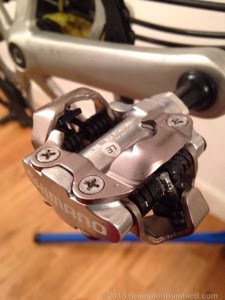 Having been testing Alan K's Shimano PD-M520 pedals for a week I've been completely sold on getting my very own pair of SPDs. 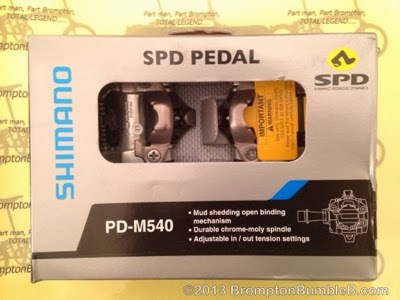 I finally decided on getting the Shimano PD-M540s which are the next grade up from M520s. 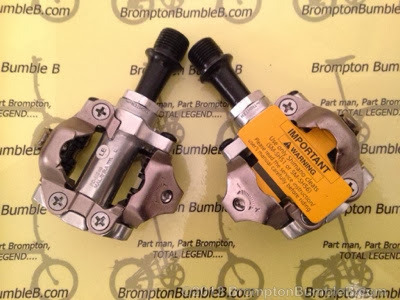 Shimano OE M540 SPD MTB Pedals from Evanscycles for £29.99 which I thought was a pretty good price. We shall see how these compare to the others but I'm confident we'll love them. Good luck with those, my friend. Exciting times ahead. 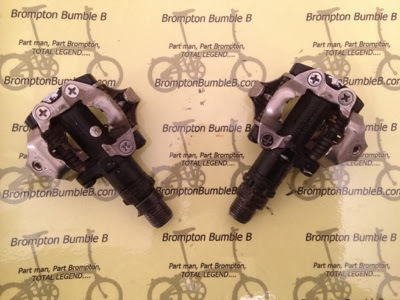 I have fitted my Shimano M780s since the Brighton ride and am loving them. Slowly but surely, started training on the "Lift Up" part of pedalling but I can feel a big improvement in cycling already. Just have to keep remembering to clip out in time before I stop and fall over.